Is Your Office Shredder Hindering Security and Business Productivity? Office shredders are a common item found in many office settings across the country. As information theft and fraud become increasingly more concerning today, more companies are taking measures to shred old sensitive files in hopes to protect themselves from such risks, and we are encouraged to see this. The results of identity theft and fraud can be extremely damaging to any business, but especially smaller ones or start-up businesses. 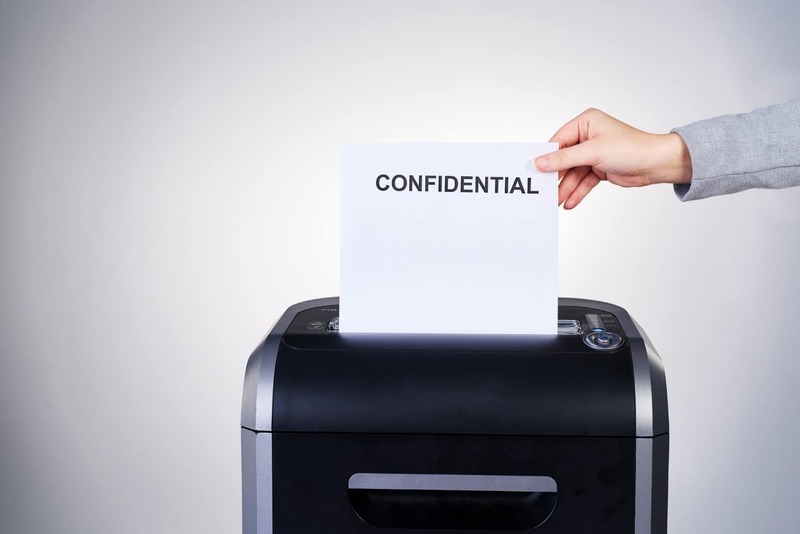 What many aren’t aware of however, is that the office shredder they think is assisting with securing their information, may be causing more harm than good as it turns out. Why? The biggest issue with an office shredder is that the shredding produces strips of paper that can very easily be put back together if discovered by the wrong person with the intent to put the pieces back in place. They simply do not do a thorough job of shredding records so that they are unrecoverable. The information you thought was destroyed by your office shredder, could be entirely accessible which leaves you vulnerable. While there are more advanced office shredders that can do a more efficient job of shredding your material, they still lack several advantages in comparison to a professional document shredding company like A1 DATASHRED. In-house shredding services aren’t backed by legal certification for back-up proof. Professional shredding services carefully record each shredding job and provide customers with a Certificate of Destruction at the end of each service. This certificate guarantees the quality of destruction and provides physical evidence that the destruction occurred by industry experts, trained to do so. Without such proof of destruction, customers lack a means to prove shredding was performed in line with critical privacy legislation (such as FACTA and HIPAA), and this can lead to a problematic situation if and when an audit takes place. Document shredding services provided by a professional company like A1 DATASHRED , go to great lengths to keep a close eye on their shredding process. This strict approach is carried out so that the quality and security of these services is guaranteed. The biggest reason for monitoring the shredding process from beginning to end, is to verify that all document shredding specialists are performing each step with the protection of client privacy in mind, and so that protocols are not being breached. Poor monitoring can lead to protocols being broken throughout the destruction process, or in some cases, documents not reaching the shredder at all! Monitoring is very important in relation to quality of service, and professional shredding services do not take this responsibility lightly. Many businesses don’t place too much emphasis on their shredding operations and how they are completed, and only some are confident enough in their employees to have the shredding executed in-house, of course as mentioned this comes with risks. Given the importance of the documents that are being shred it is imperative that whoever is handling the shredding of your information is trustworthy and properly trained. Professional shredding services go to great lengths to ensure that employees receive ongoing industry training, are up to speed on any chances in procedures, and are completing tasks according to protocol. Is Your Business Making Document Shredding a Priority? For many businesses, the costs of maintaining a shredding machine and properly trained and monitored operating team are too high to justify. Indeed, it is not cheap to own, maintain and properly operate a professional document shredder. Many businesses in Boston opt instead to put their trust into A1 DATASHRED for professional document destruction needs. Whether you need regular shredding, or just have a one-time purge to be had, our expert team ensures that your documents are destroyed securely. Choose from both on and off-site to fit the scheduling and budgetary needs of your business. If you feel it’s time to improve your approach to document security, consider outsourcing your shredding needs to an experienced and trustworthy business like us! Now is the time to be proactive and protect your most valuable business asset; information!